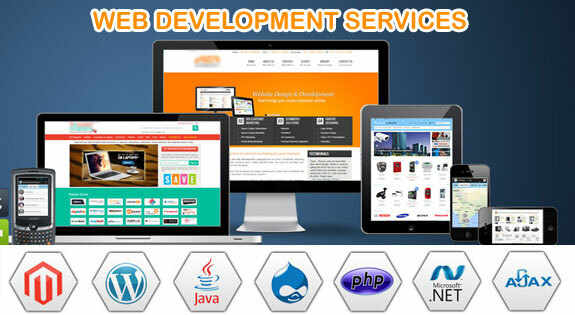 We're specialized in developing website's that work and grow your business. Interface Software Services is a complete Web Design Company in Bhubaneswar offers customer oriented high quality web designing services & deliver them effectively. Whether you are a small business or a large corporate, ISS can help you achieve a unique online presence to give cutting edge web design solutions to your business. At our web designing company in Odisha, India, our web Designers and Developers are dedicated to producing quality business websites. We offer a full web service, which begins with design and carries through to Internet Marketing, SEO, and beyond. The company offers corporate identity design services, affordable offshore website design and development, e-commerce web design and software development along with friendly customer service at great rates! We understand the every company has a unique requirement when it comes to web designing. Where our responsibility is to project that uniqueness and make the website stand out from its competition. Unlike a run-of-the-mill website designing we make it a point to deliver a distinctive look to your website. Our web designing experts ensures that your website is search engine friendly, aesthetically appealing and user friendly. our website designing services covers strategic planning, business intelligence, creative, application development, product / service promotion & solution maintenance. Most of our time goes in understanding your business objectives, defining the problem and finally designing the best possible solution. Your website can offer you the best return for your investment, if done correctly. Website Development Company, Web Development Company, Off shore website Development Company in Bhubaneswar,Web Application Development,E-Commerce Web Development,Responsive Website Development,School Website design,College website Design,Restaurant Website Design,Matrimony Custom Website Development>,Bhubaneswar Website Company,Best Website Develelopment Company,Websdesigning compnai in bhubaneswar,Web service company in Odisha,custom software application development, web company bhubaneswar, website design and development company in orissa, software develeopment company in odisha, software company odisha, software company sahid nagar, software application development, custom web application development, custom Website designing company in odisha, offshore webdesign development, custom software development bhubaneswar, custom software development in bhubaneswar,offshore software development, custom software development company odisha bhubaneswar, outsourcing web development, website designing firm, web hosting company, hosting development, website design bhubaneswar.